Rigid lenses, which are also known as rigid gas permeable (RGP) contact lenses, are made of rigid and durable material which allows oxygen transmission. Modern RGPs are different from old style “rigid” contact lenses made before 1970s in material. At that time, rigid lenses were all made of a material known as PMMA which did not offer oxygen transmission for maintaining eye health. In addition, PMMA rigid lenses were not as comfortable as soft lenses hence soft contact lenses have taken away most of the contact lenses market after they were invented. However, sometimes optometrists or ophthalmologist may still want to use the “rigid property” of contact lenses to manage some “extreme” corneal conditions such as keratoconus, Perllucid Marginal Degeneration (PMD), or post corneal graft irregularity. Therefore, “gas permeable” lens material – which is a newer technology than traditional soft lenses – was first introduced in the late 1970s. RGPs transmit more oxygen to the eye than traditional PMMA and some soft lenses. 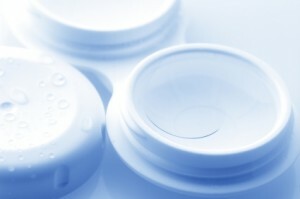 Consequently, RGPs are still available despite soft contact lenses having dominated the majority of contact lens market. Comparing RGPs with soft disposable lenses, RGPs can provide better vision and durability. Sometimes RGP’s rigidity is also applied for “corneal molding” for the purpose of vision correction (e.g. orthokeratology). RGPs also simply last longer than soft lenses hence they have never been discontinued! How can ArtMost® Specialty RGP help my visual needs? ArtMost® Specialty RGP (EC series) applied the latest technologies to maximize all possible RGP applications! First of all, all ArtMost® RGP are engineered with Preferential Visual SpanTM (PVSTM) theory to design the optical zones for superior multifocal optics. The most important feature of PVSTM for rigid lens design is that it allows consistently clear distant and near vision at the same time. Double Geometry technology allows for all the ArtMost® rigid lenses to stay on your eyes comfortably without too much irritation to your eye lids. If you have keratoconus or irregular corneal condition (Ectasia) after refractive laser surgery, your vision can still be improved with ArtMost® Ectasia Control (EC) RGP. ArtMost® EC series is specially designed for “corneal molding” purposes on ectasic conditions, whilst at the same time PVSTM can allow you to have clear vision when you wear our EC lenses. In other words, it can stop or slow down your Ectasic condition from being worsen, whilst provide you clear vision when you use them. How do I know if I am suitable for ArtMost® Specialty RGP? The ArtMost® Specialty RGP (EC) was designed specially for ectasic conditions. Since all specialty RGP are semi-medical devices, please use Find a Doctor function to see any qualified ArtMost® Specialty Lenses practitioners for more information.